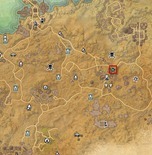 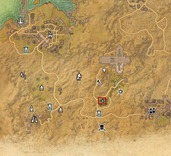 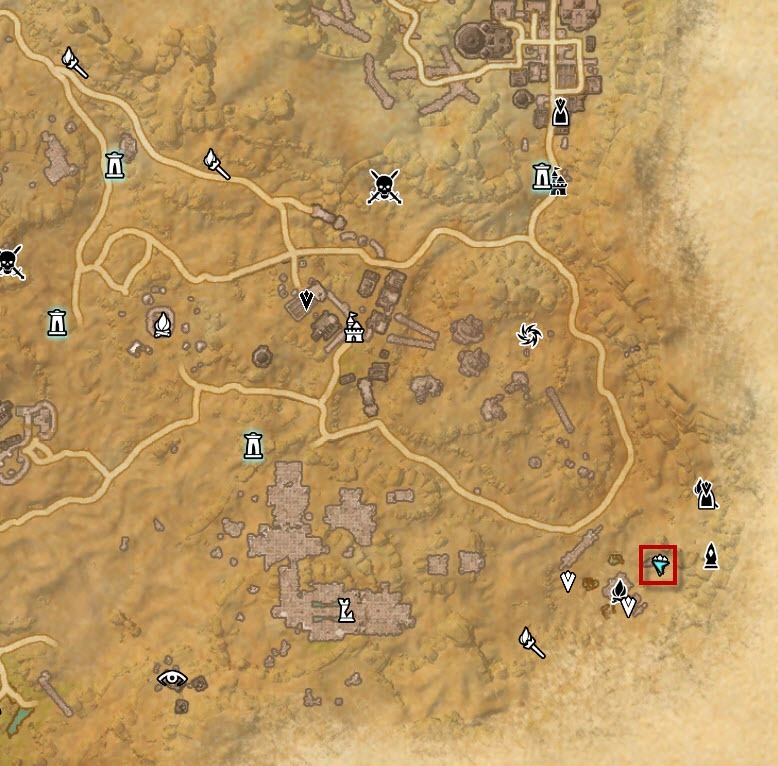 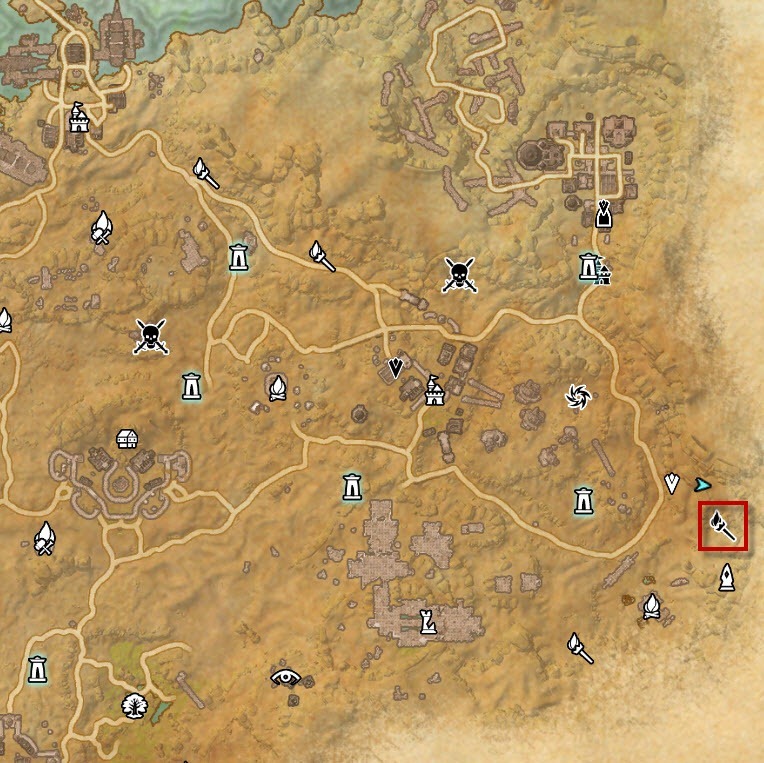 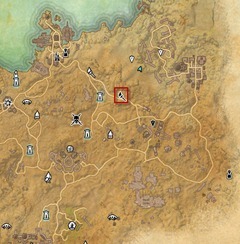 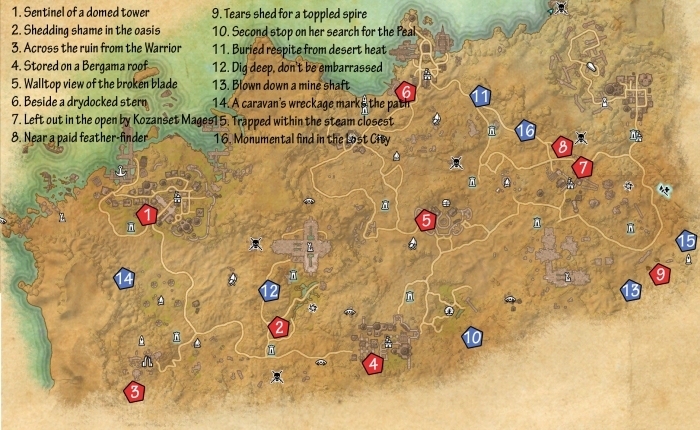 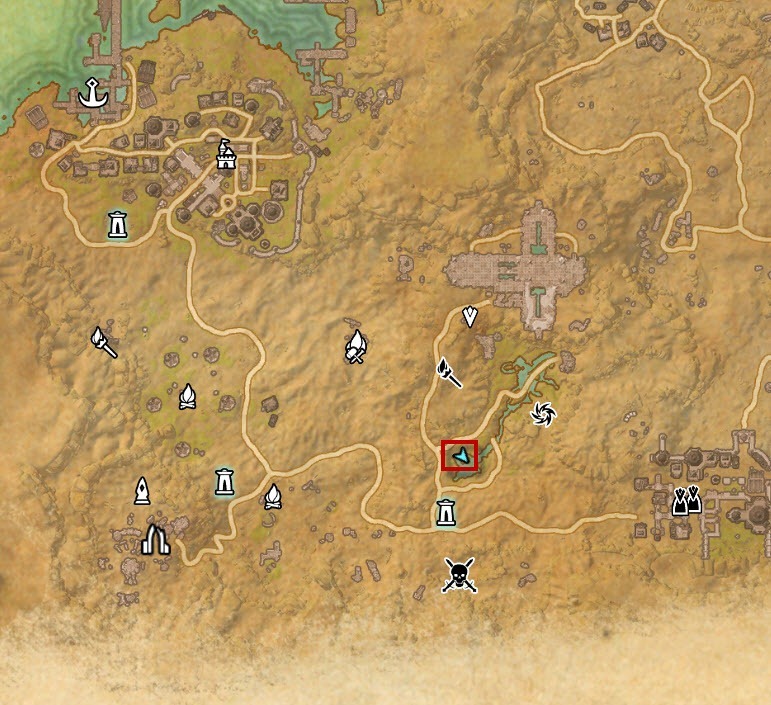 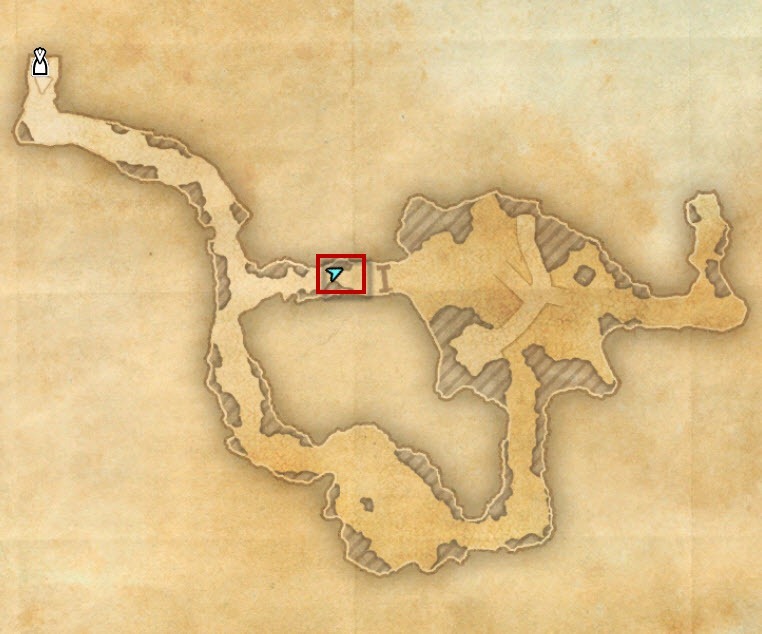 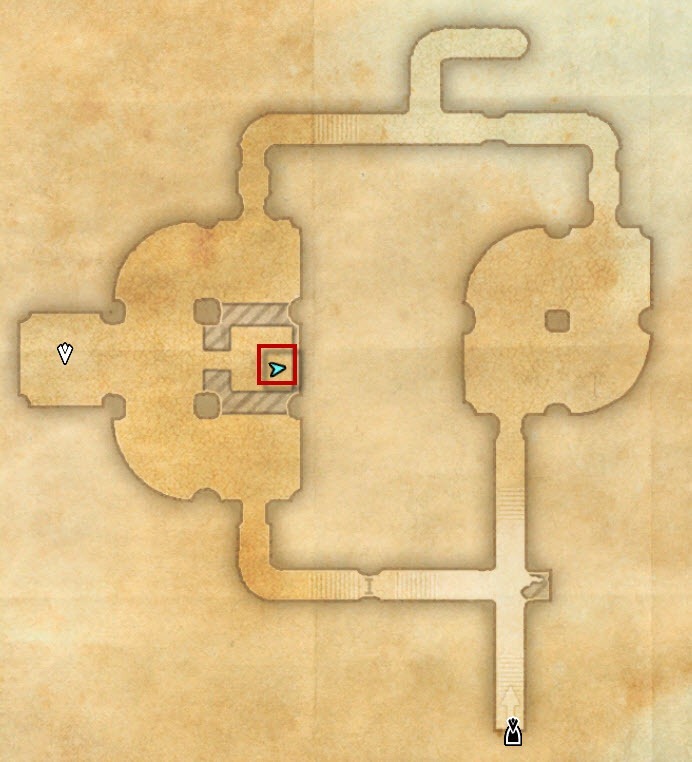 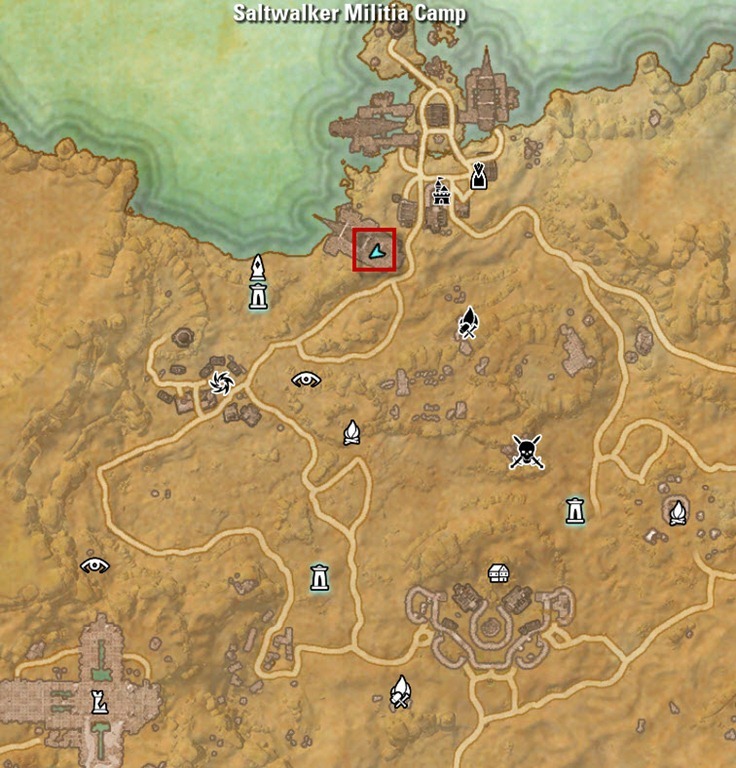 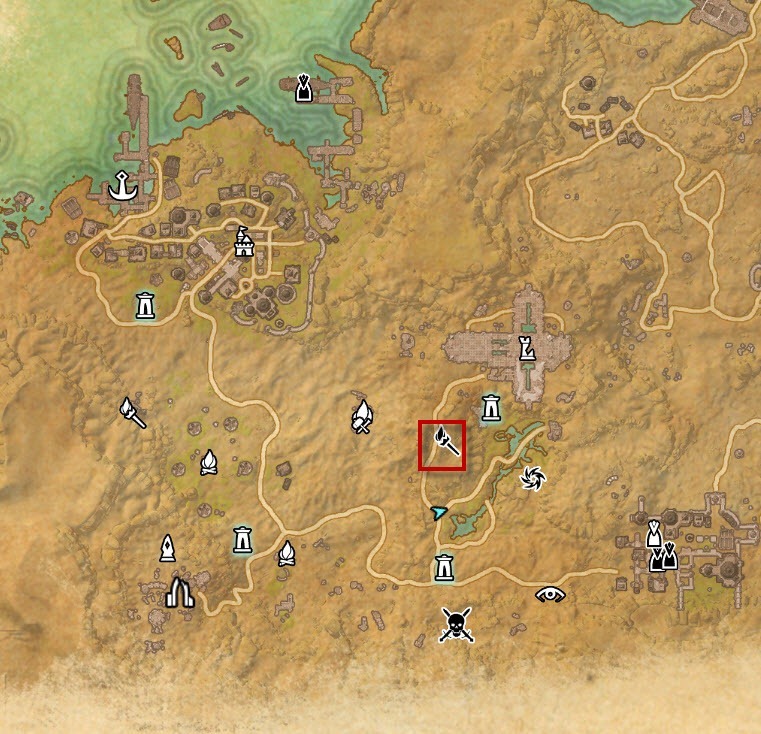 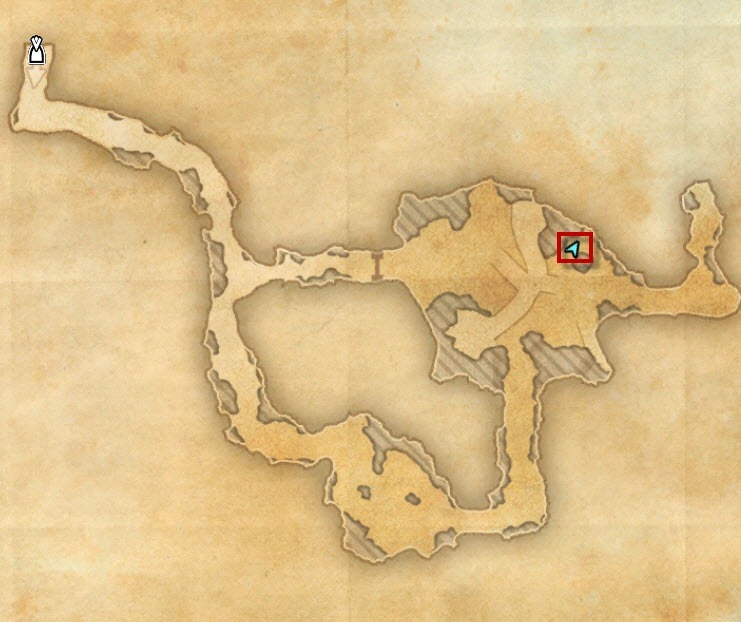 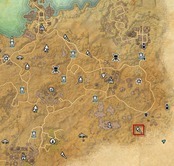 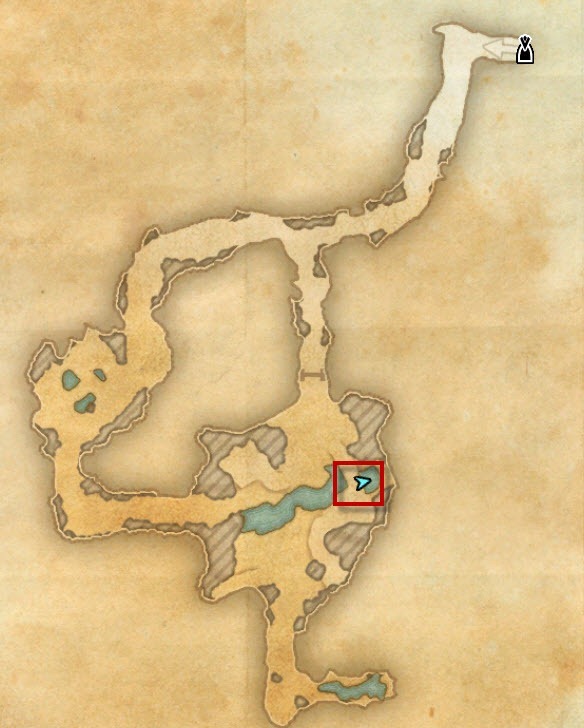 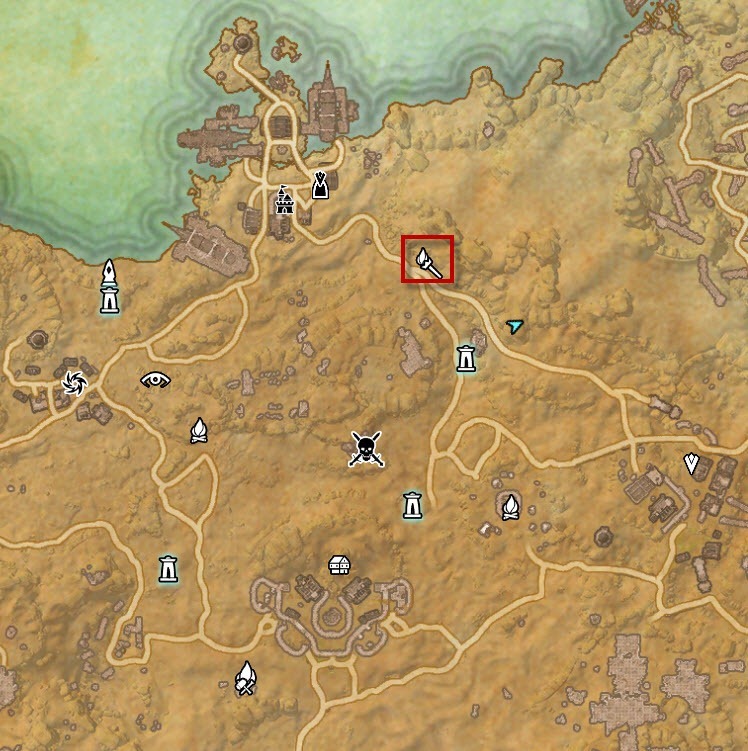 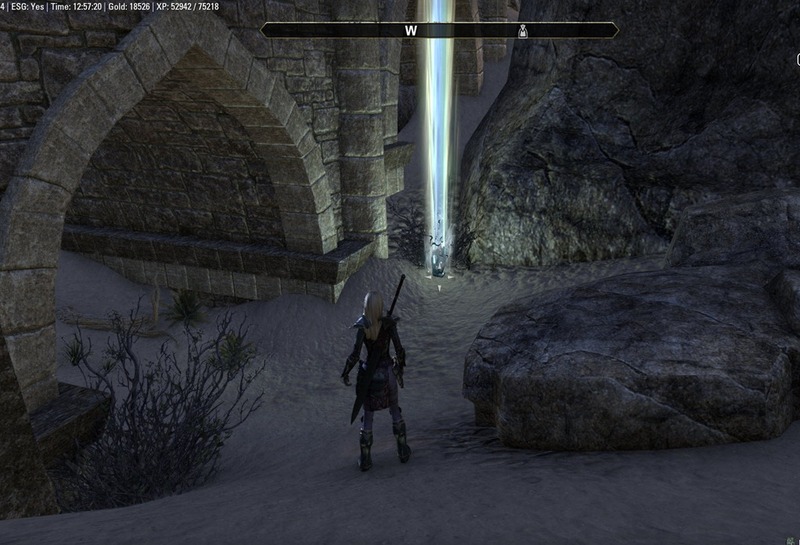 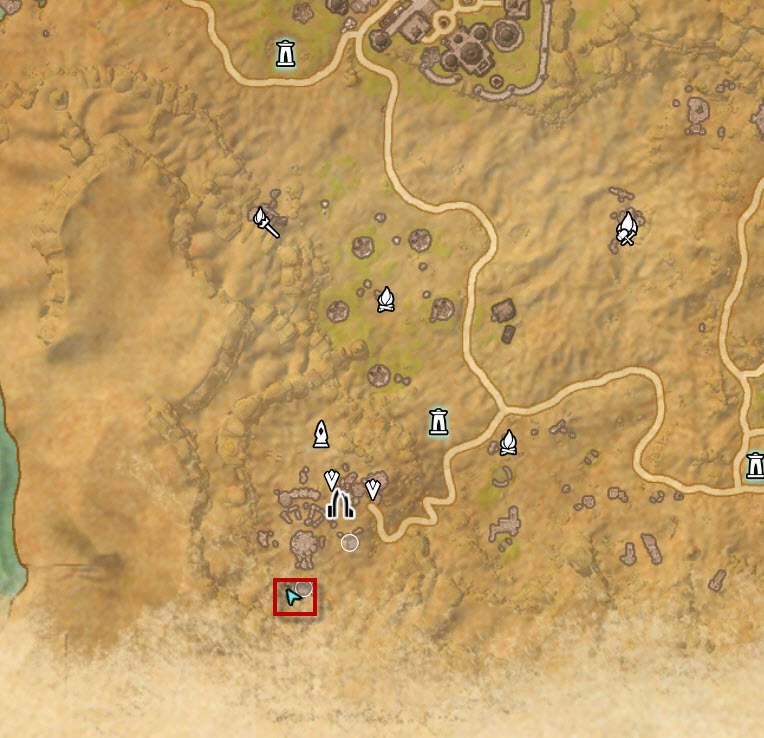 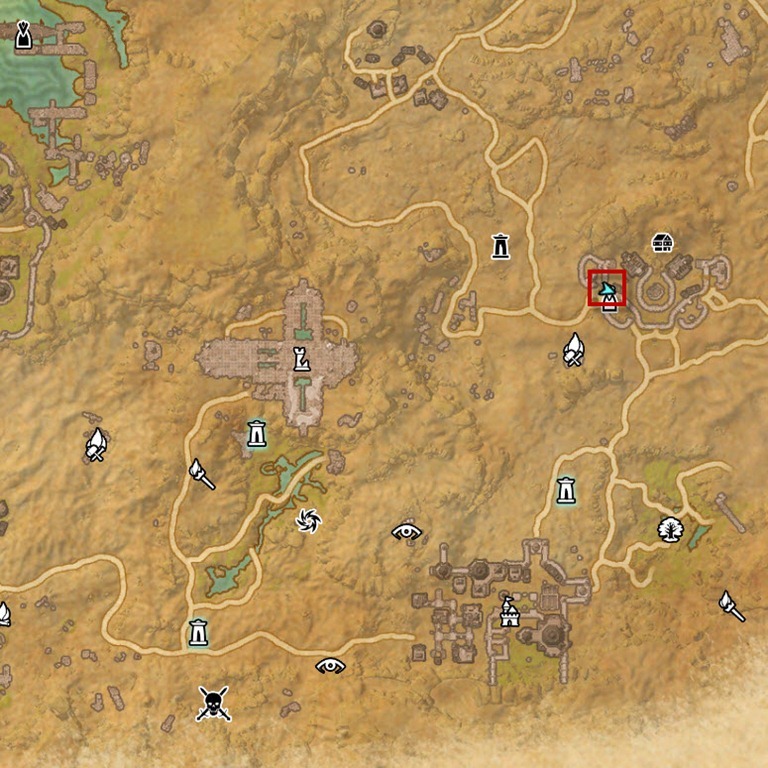 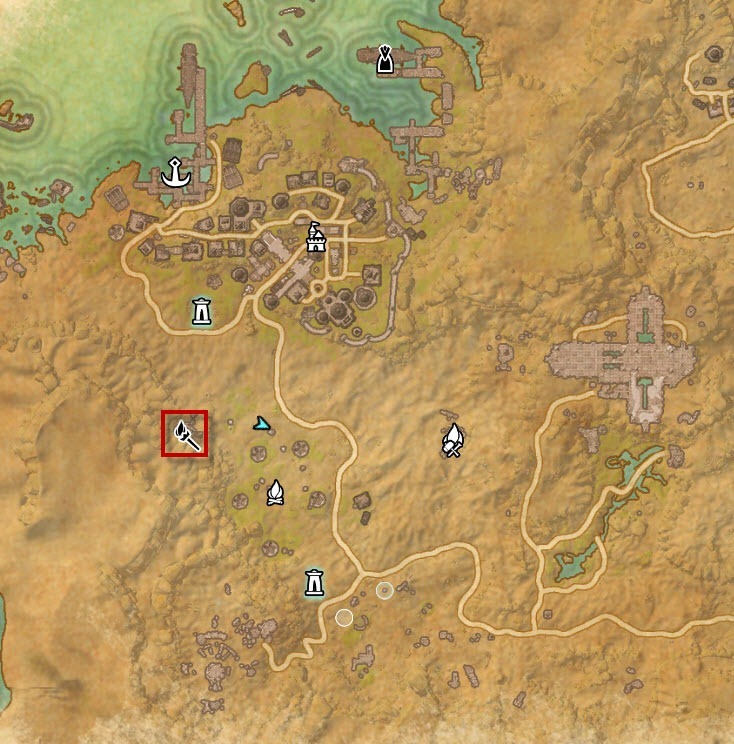 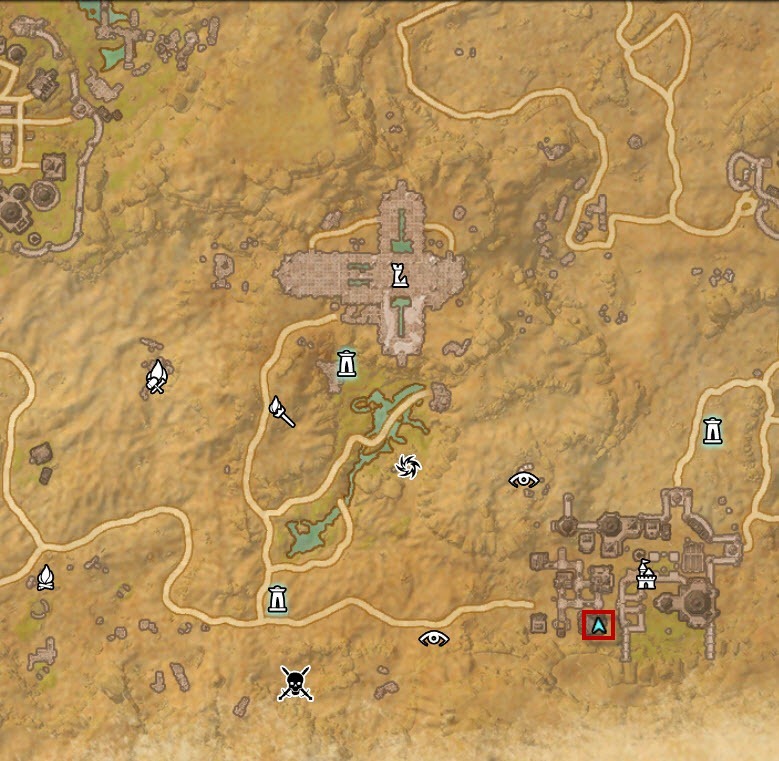 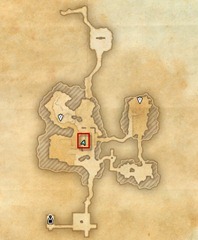 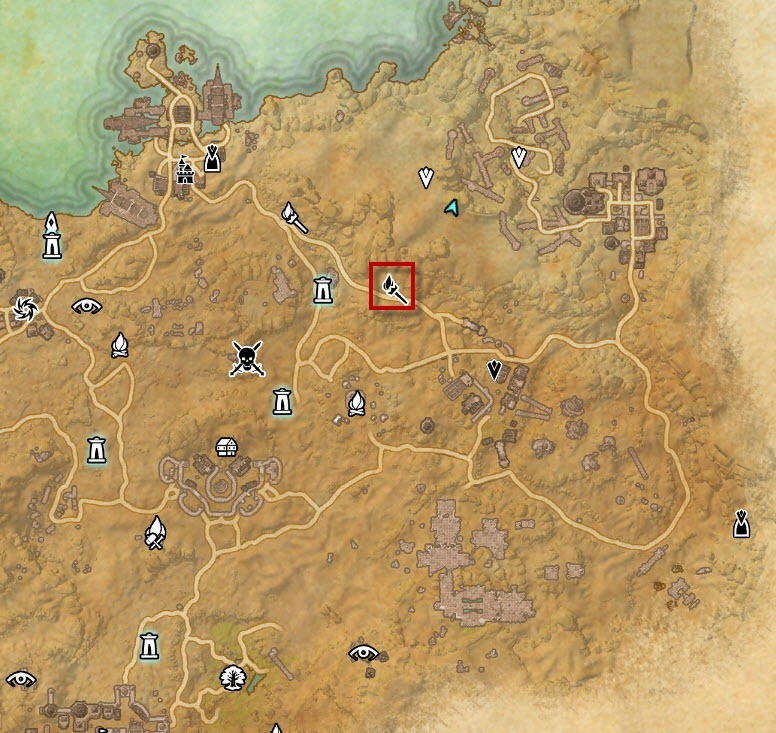 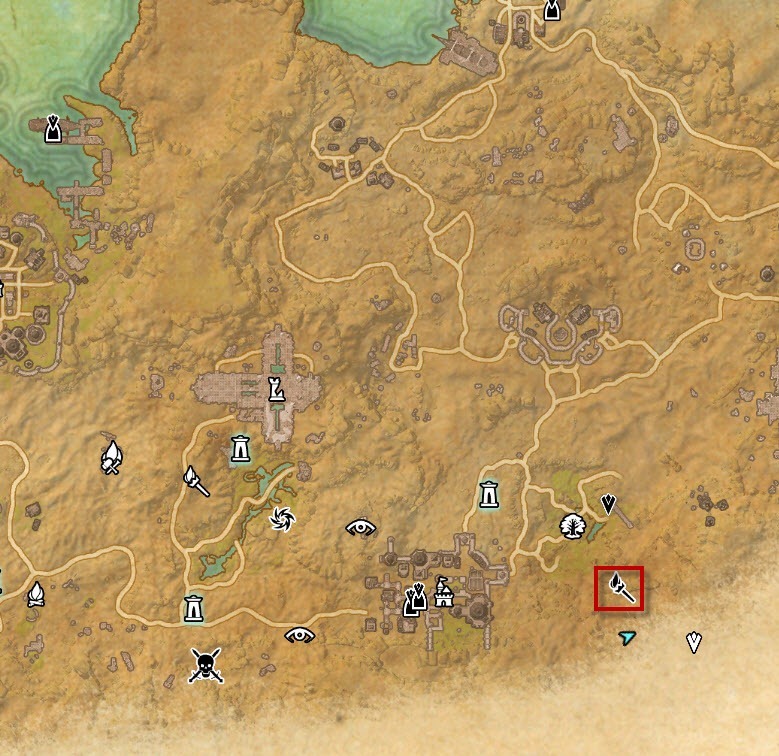 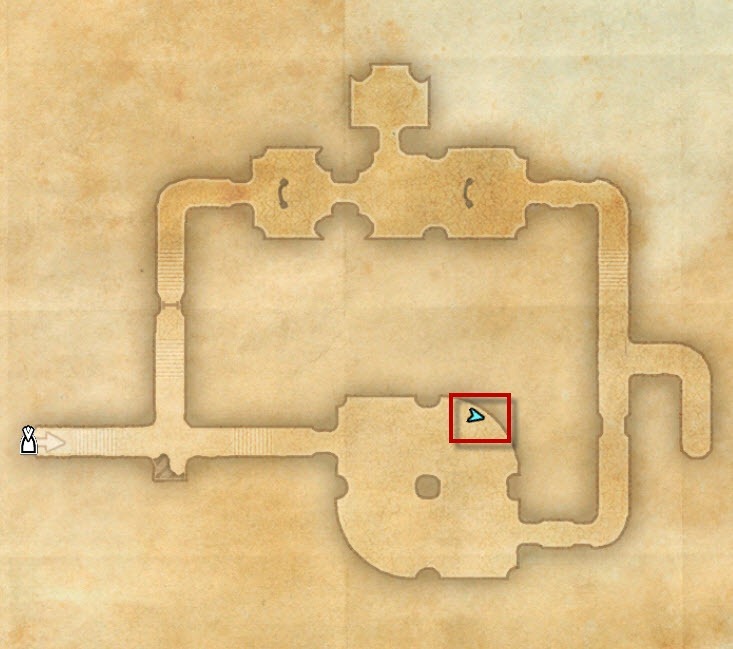 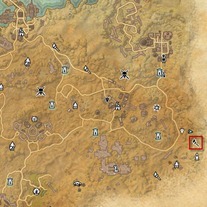 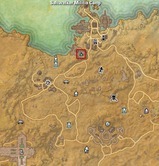 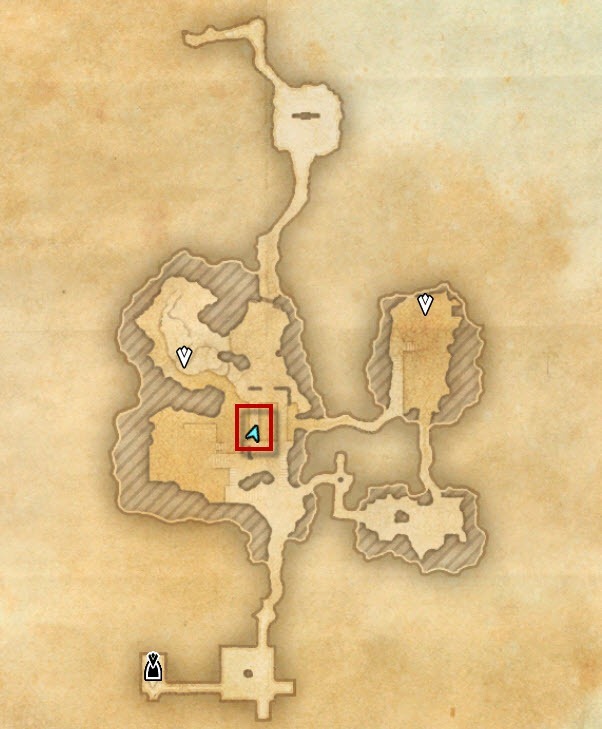 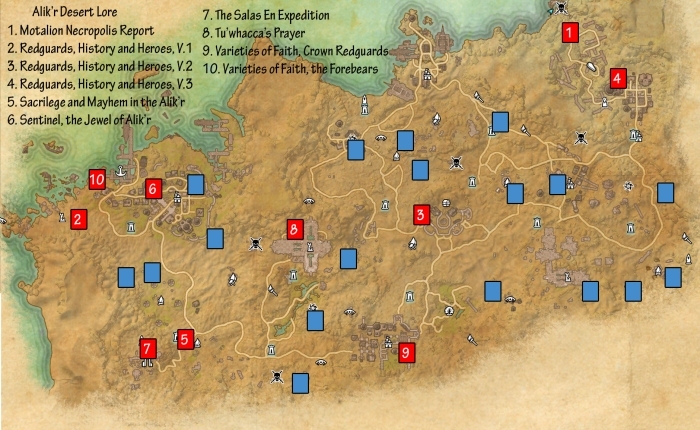 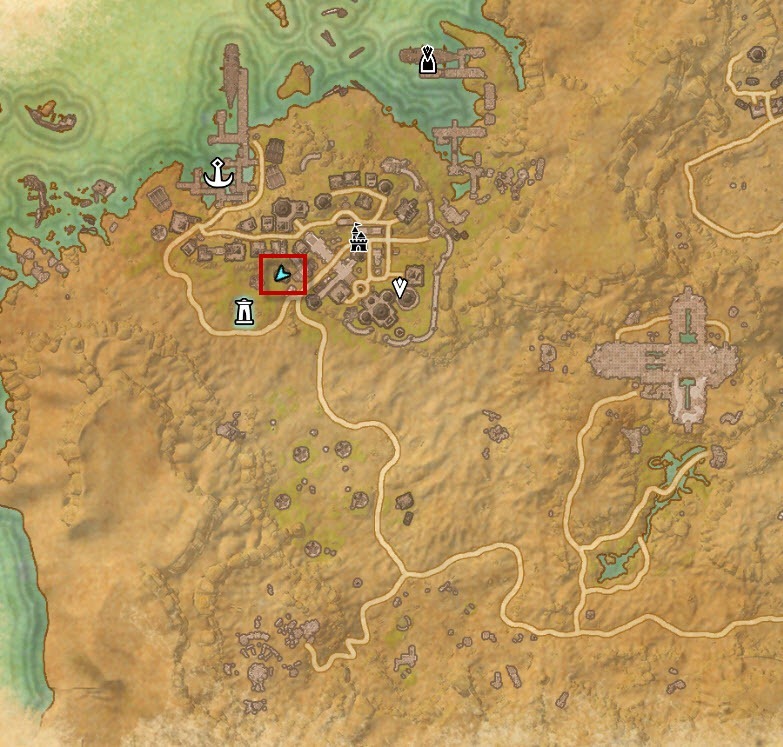 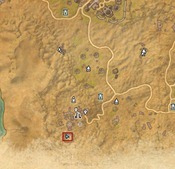 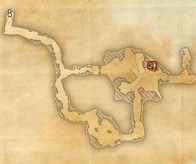 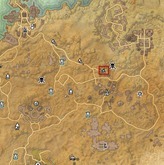 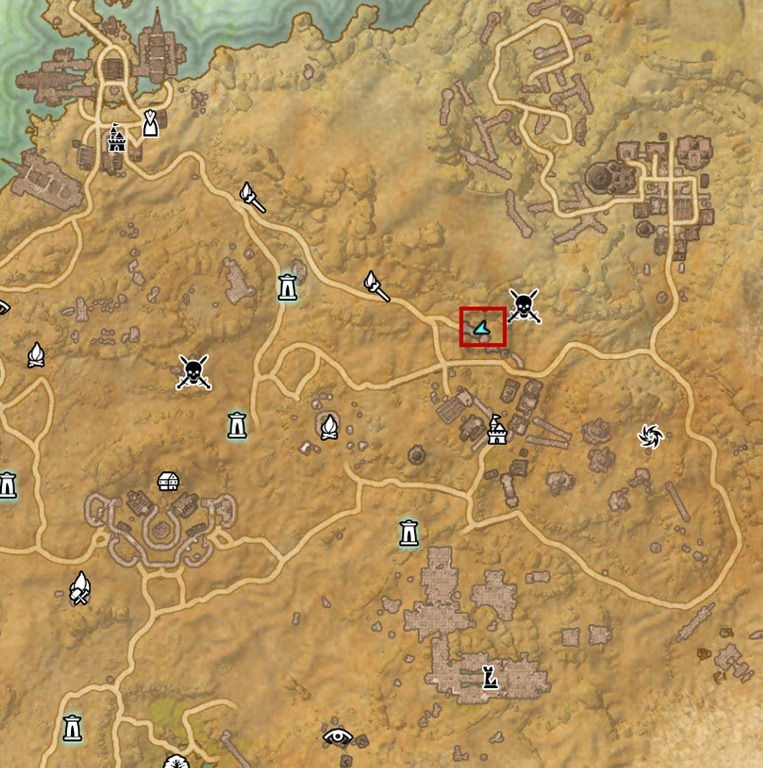 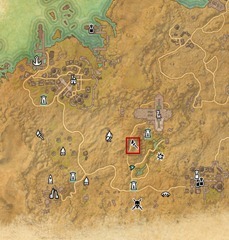 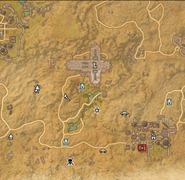 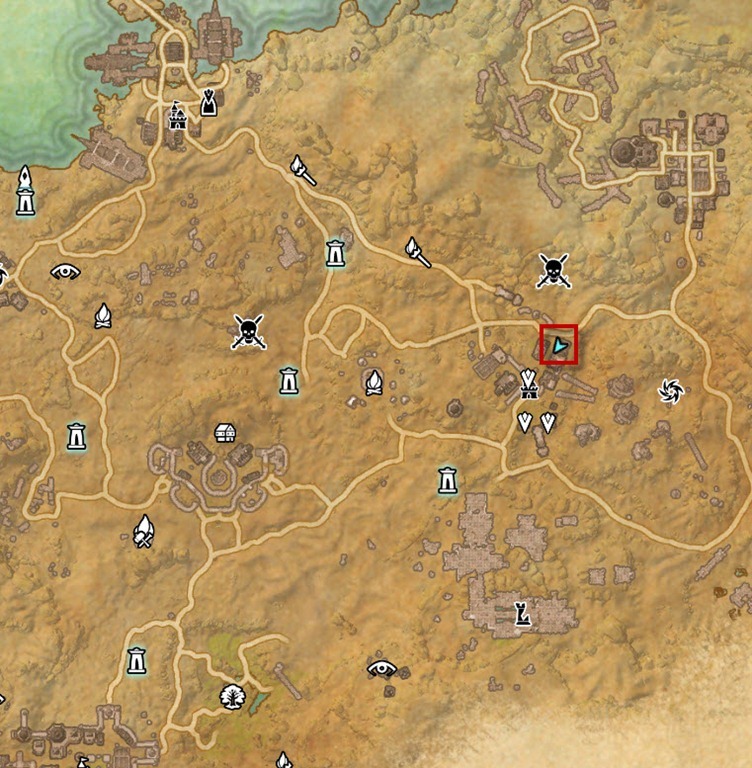 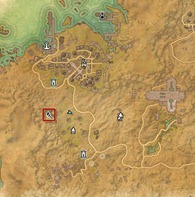 ESO Alik’r Desert Skyshards location guide. 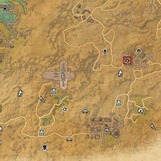 Alik’r Desert is a level 31-37 map for the Daggerfall Covenant. 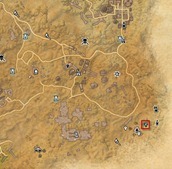 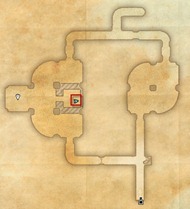 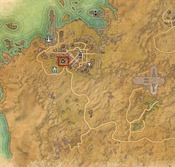 Map of Alik’r Desert Skyshards. 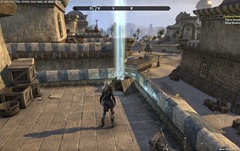 Click on an icon to jump directly to that skyshard. 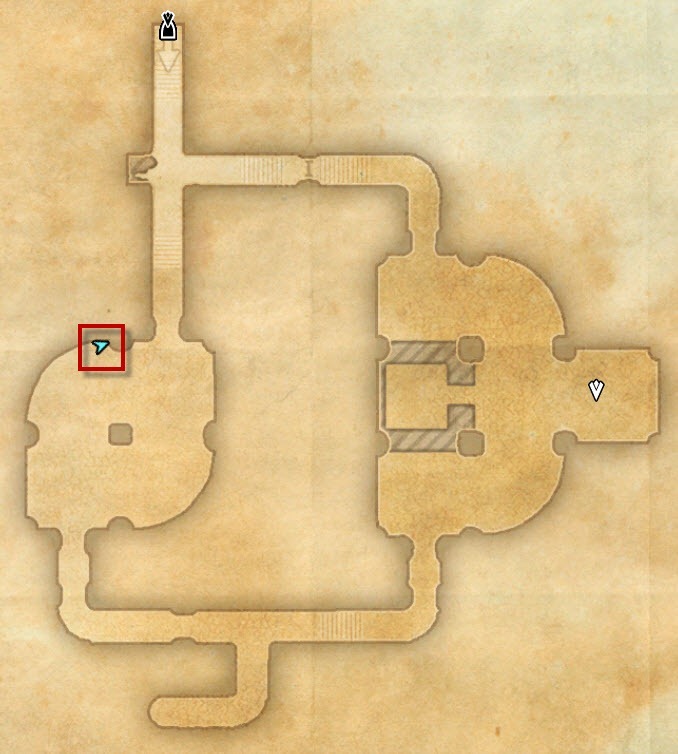 Can access this roof from the Fighter’s guild roof or access it from the long ramp that lead up to this roof. 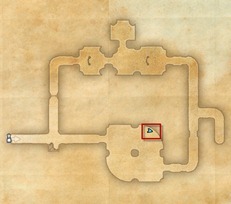 During the update 1.5xxxx the Skyshard location changed, as did the actual dungeon and finally in size. 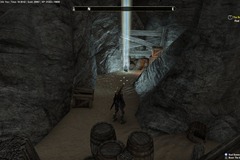 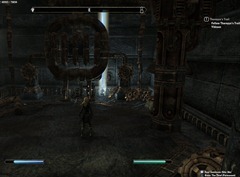 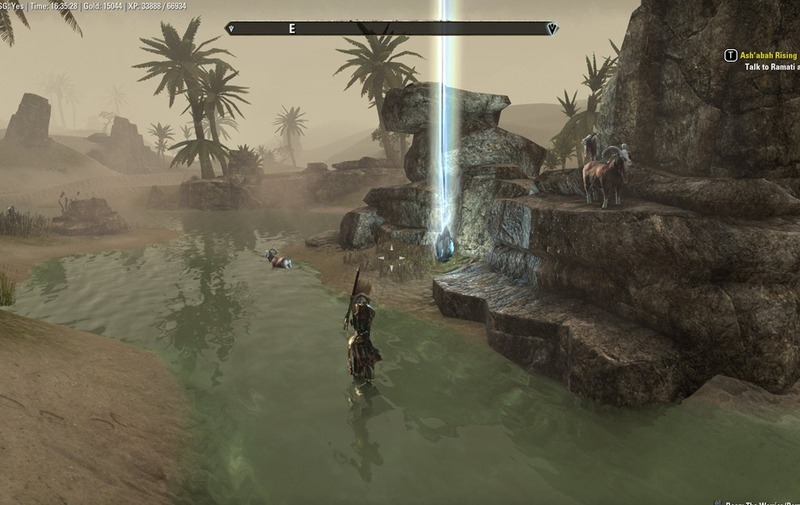 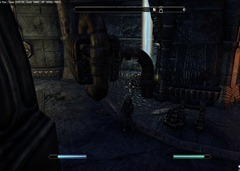 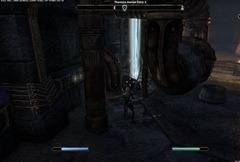 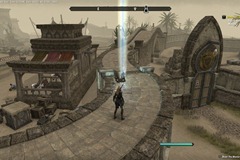 Follow the path to all the fighting between imperial troops and dwemer spider etc and go LEFT. Fight your way through the corridor still on the left going up the stairs to the next major room. Straight ahead is a Centurion and off to your right is the Skyshard. 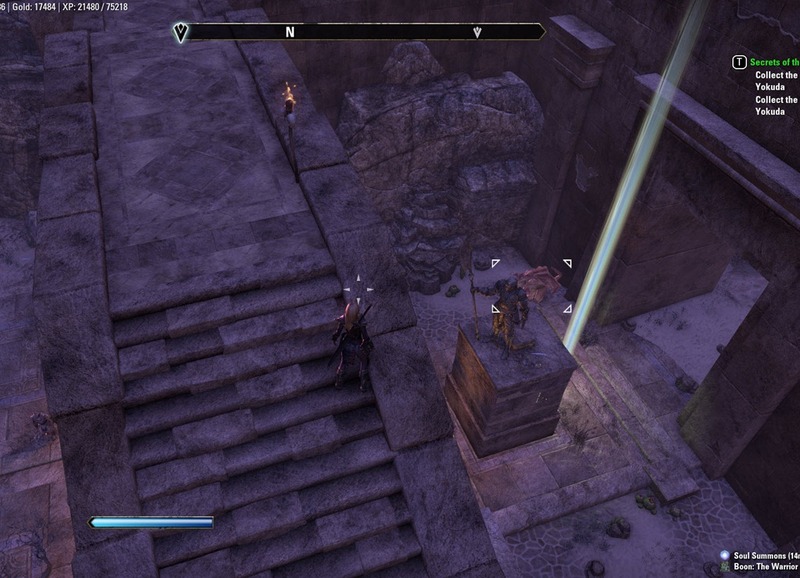 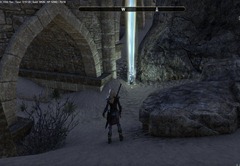 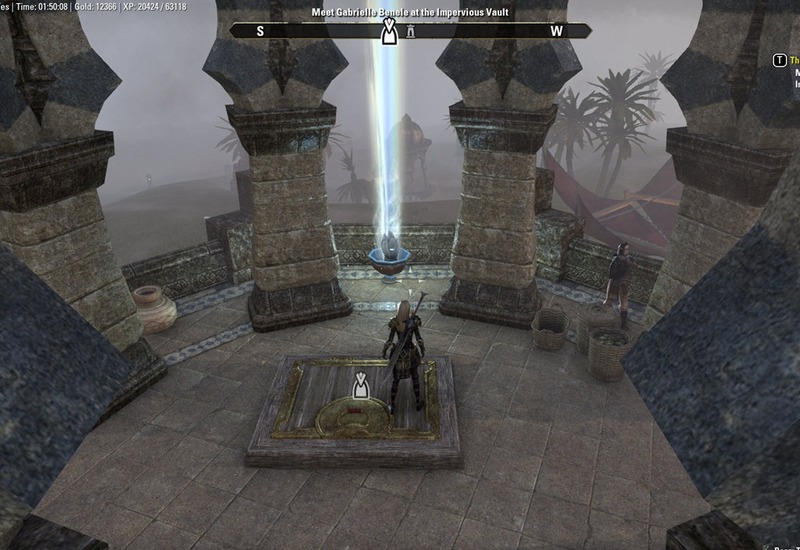 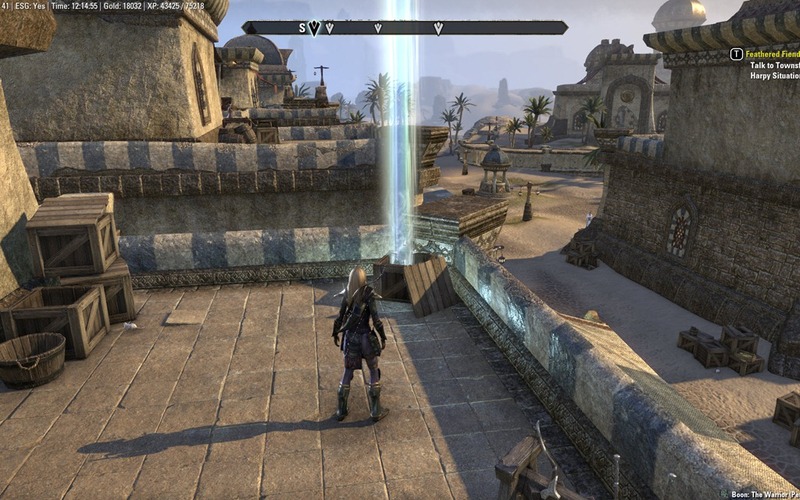 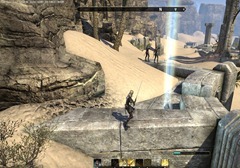 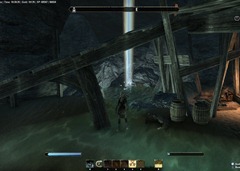 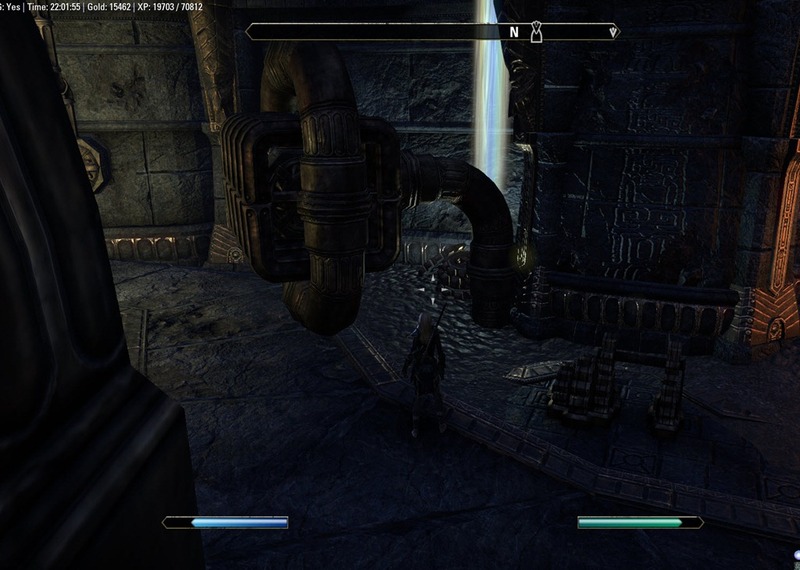 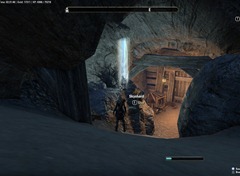 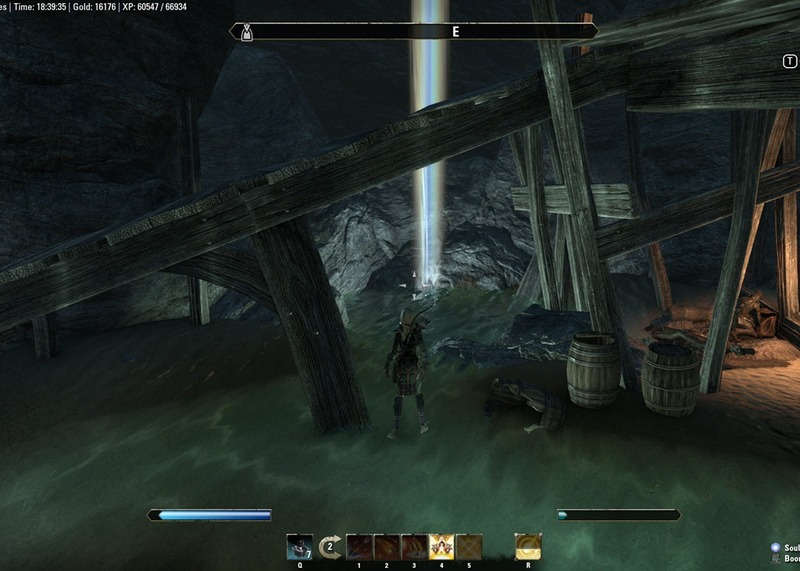 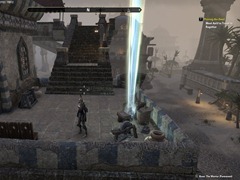 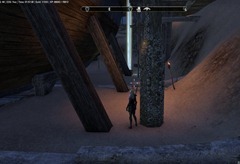 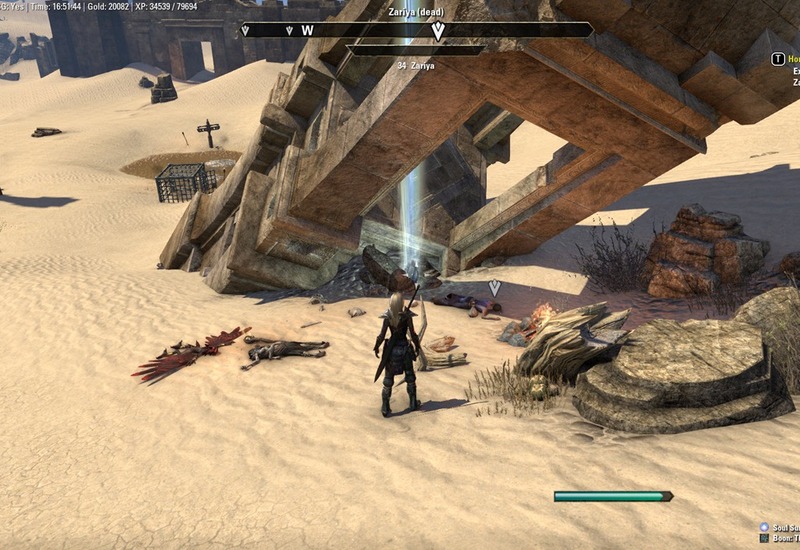 FYI the skyshard for the Alik’r Desert #11 Buried repute from from desert heat is actually in the far top right corner of the Coldrock Diggings Mine for Xbox One. 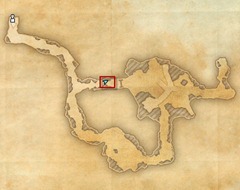 Your exact map location doesn’t show this.